Before purchasing new holiday lights, use the information below to learn more about the different options available. The information will serve as a guide to help you make an informed decision. The Whole Story: LED (or light-emitting diode) lights may seem like the obvious choice. They are more energy efficient and much cheaper to operate than traditional, incandescent lights. Due to their low wattages, electrical overloads are unlikely and many strings of lights can easily be connected. Additionally, LED lights generally produce less heat so they are less of a fire hazard. They also tend to last longer, as they are very durable and the colors will not fade. However, all of this comes at a cost. LED lights can cost 5-10 times more expensive than incandescent lights. The Whole Story: Incandescent lights are the traditional choice. They are relatively inexpensive to purchase and they can be found virtually anywhere. 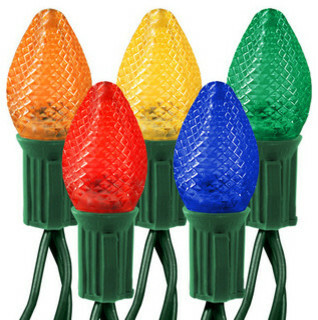 However, they use much more electricity than LED lights, which can lead to high electric bills and overloaded circuits. Setting lights on a timer can be an easy solution to this problem. 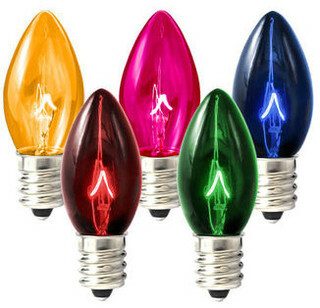 For colored incandescent lights, the bulbs are painted to act as a filter to produce color. Unlike LED lights, this color may fade over time and become less vibrant. However, if the proper precautions are taken, incandescent lights can be a very cost-effective and practical choice. Looking for a contractor to install your Christmas Lights? Learn about the advantages and disadvantages of hanging holiday lighting yourself. Video illustrating some of the work performed by Christmas Lights Unlimited. What to consider when evaluating estimates from Christmas light installers. Learn some tips for making the holiday decorating process a little easier this year. Learn some helpful tips for avoiding electrical overloads during the holiday season.